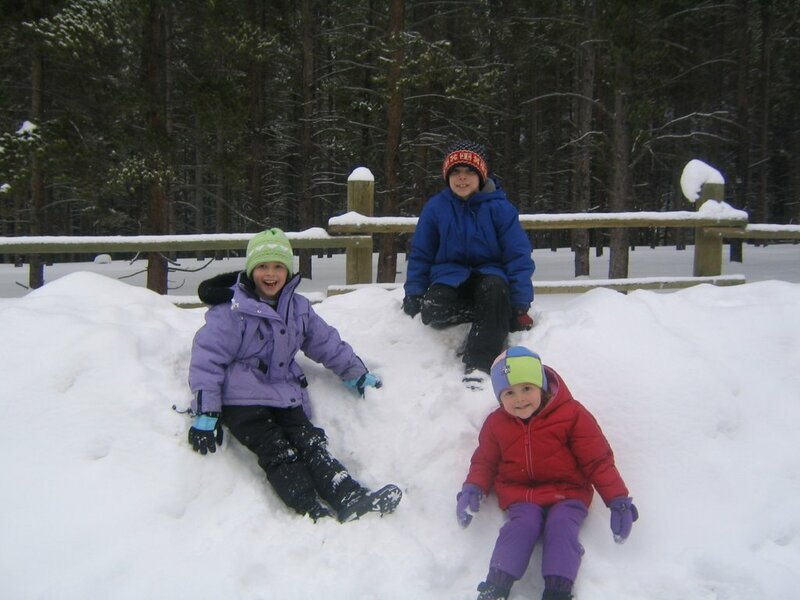 Life at 7000 feet: New Year's FUN! 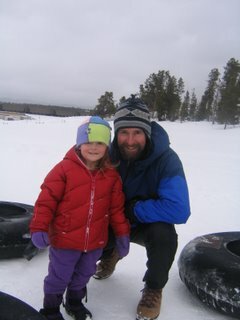 I'm really into traditions, and after yesterday I think we have created a new one--snow-tubing on New Year's Day! We went to Fraser, CO (just north of Winter Park) yesterday for some snow-tubing with friends, and we had more fun that you can imagine! The tubing hill is about 100 yards wide and 200 yards long. You just plop down in the inner tube, hang on and slide. 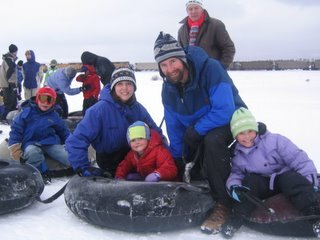 We had about six families in our group and on several runs we'd all hang on and form a giant tube-amoeba. The weight of all of us banded together made for a super fast slide...such fun! The best part though was the tow-line at the bottom of the hill. You just hooked your tube on, sat down, and let the tow-line pull you back up. It was all play and no work! Will took off on his own after the first run or two. He thought we were too slow I guess, so that's why he's not in the family picture below! I've decided that Sarah likes adventure. She didn't stop once in the two hours we were out there...and for Sarah, the faster and steeper, the better! Abbey was such a trooper! She loved it! She took 2 little breaks, but she was ready to go back outside after only a few minutes. John and I realized last night that we're really on the upside of the "baby" thing. We might even give skiing with the kids a try next winter. It was snowing and windy and very cold yesterday, but only in the mountains. We had a slow go getting to Fraser, but once we got off the mountain, the sun was shining, and temps were 10-15 degrees warmer. Colorado is such a fun place to live. We love getting out and exploring all it has to offer! We also love visitors, and we know this really great tubing hill we'd love to take you to. And, there'a a great pizza place on the way home! So come see us! I'm getting more and more tempted to make the trek. Given the calendar, it would probably be during the summer though. Colorado is great anytime though...right? Love and miss you. Rapunzel, Rapunzel, let down your hair!